Publisher's Note: Products purchased from Third Party sellers are not guaranteed by the publisher for quality, authenticity, or access to any online entitlements included with the product. The essential guide to marketing and building your business on Instagram - today's hottest social media platform While other social sites are declining in popularity, Instagram is hotter than ever-and shows no signs of cooling off any time soon. But it's not just users that are flocking to the site, marketers love it too. With more features and marketing capabilities than ever, Instagram is a channel that smart marketers can't afford to avoid. 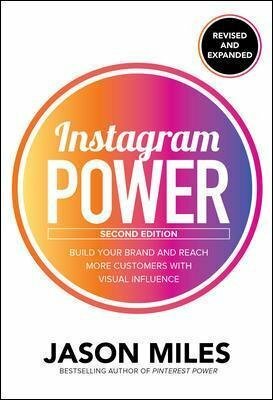 Filled with proven strategies from leading Instagram experts this updated edition of Instagram Power walks you through the steps of setting up your account, actionable monetization methods you can use, and how to integrate the social media platform into your complete marketing approach. With 15 new chapter subsections and revisions throughout, the book shows you how to leverage all the new features, including Insights, IGTV, Shop-able Posts, Stories, and Instagram Ads. You'll discover how to: *Leverage Instagram to build and strengthen your business or personal brand*Design an effective marketing plan for the platform*Sell directly on Instagram with Shop-able posts*Avoid common pitfalls, and much more If you're serious about marketing, you need to tap into the power of the world's most popular photo-sharing platform. This guide offers a road map to achieving Instagram marketing success.